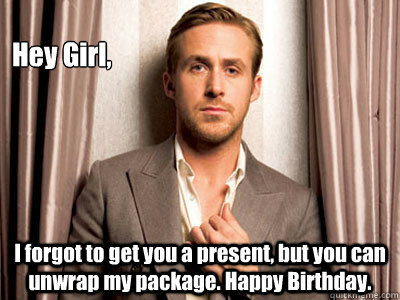 Hey Girl, I forgot to get you a present, but you can unwrap my package. Happy Birthday. 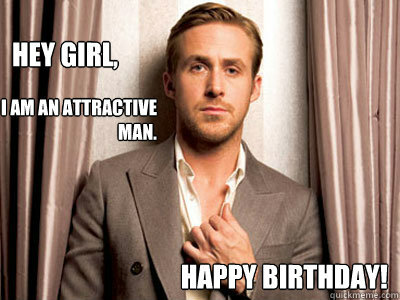 Hey Girl. I know that time is a purely a social construction created by the paternal hegemony, but I still wanted to wish you a Happy Birthday. 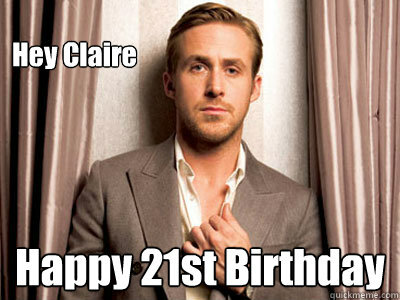 Happy Birthday, Girl. It's ok if you don't want to have a big celebration. How about we grab some drinks and Mexican food and stare into each other's eyes while our kids have a food fight? 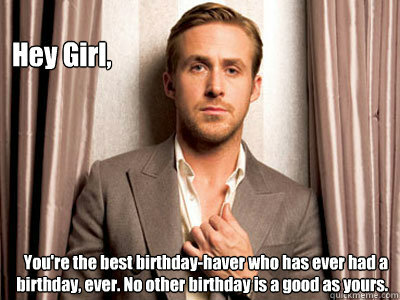 Hey Girl, You're the best birthday-haver who has ever had a birthday, ever. No other birthday is a good as yours. 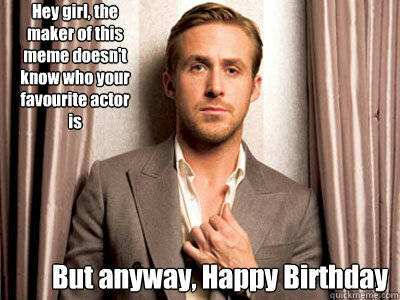 Hey girl, Happy Sweet Sixteen. 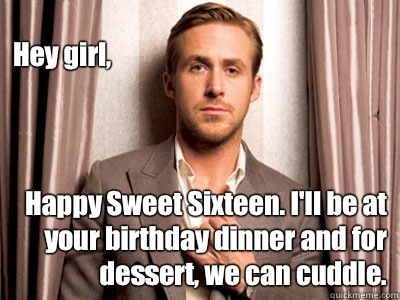 I'll be at your birthday dinner and for dessert, we can cuddle. 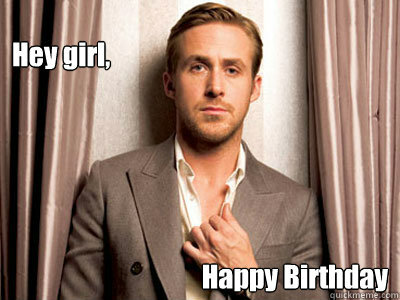 Hey girl, Happy Birthday! i am an attractive man. 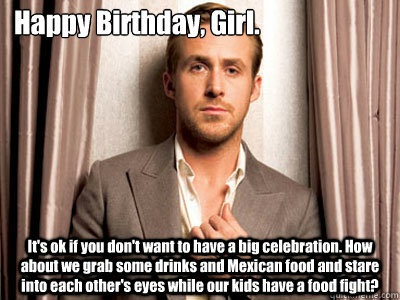 Hey Girl. 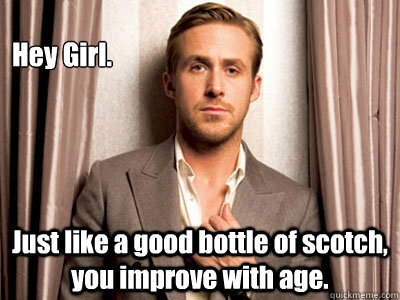 Just like a good bottle of scotch, you improve with age. 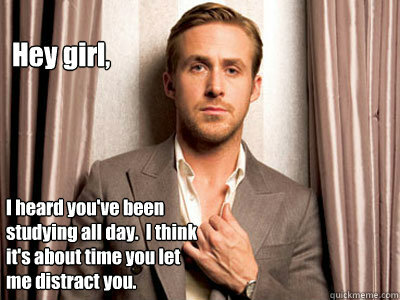 Hey girl, I heard you've been studying all day. I think it's about time you let me distract you.